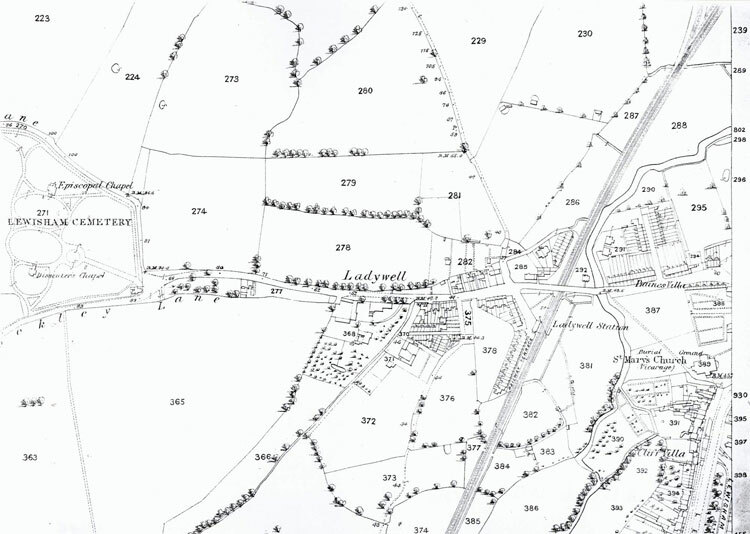 The original village of Ladywell had not changed much between 1833 and 1875, but there had been significant developments on either side in the 1850s. The two adjoining cemetries, Lewisham (now Ladywell) and Deptford (now Brockley) were opened in 1858. Building to the east of the old cottages was stimulated by the opening of Ladywell Station in 1857. 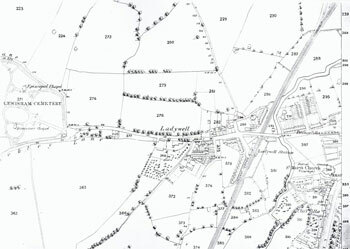 Lewisham Board of Works map 1875.